$70.00 You save 20% ($14.00). Since its introduction, the Boker Plus Outdoorsman has garnered a solid group of fans. The sturdy design, the non-slip, partly rubberized handle and excellent value for money make the Outdoorsman the first choice of many outdoor fans. 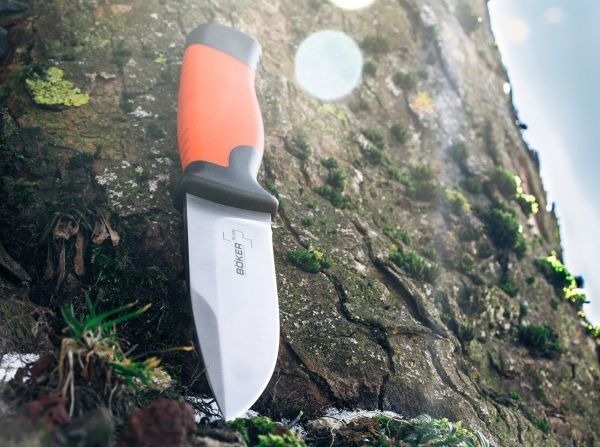 We added a larger variation of the compact first knife that offers all the benefits of the original model but transposes them into a somewhat more grown-up format. 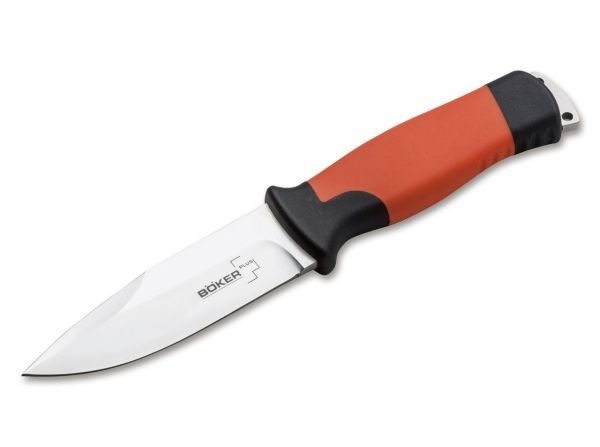 The fuller handle with a full tang can accommodate bigger hands with excellent ergonomic features, while the rubber element offers a secure grip. 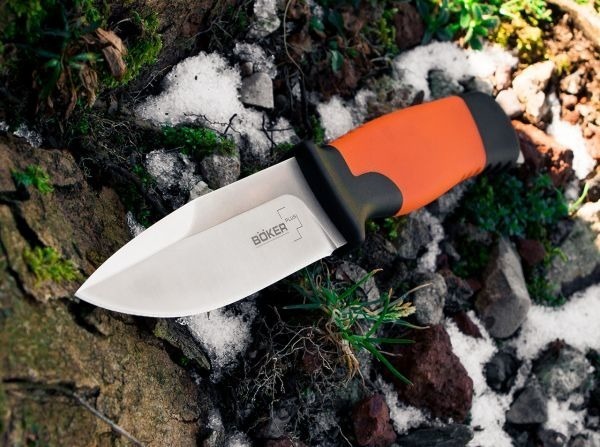 The color makes it easy to find on the ground in the forest or in a meadow; the satinized blade of 12C27 gives the Boker Plus Outdoorsman XL a classy look. 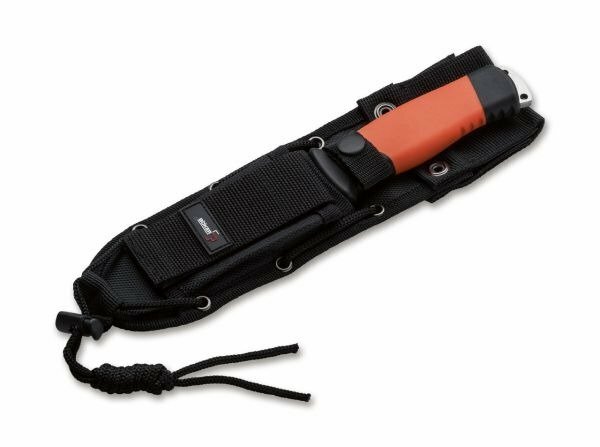 The reworked nylon sheath makes it safe and comfortable to carry. 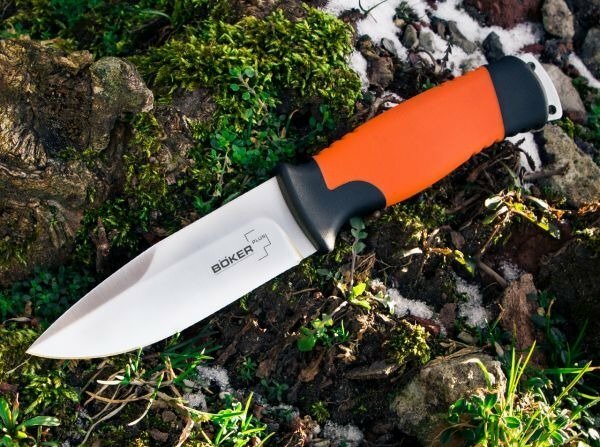 A true outdoor all-rounder.